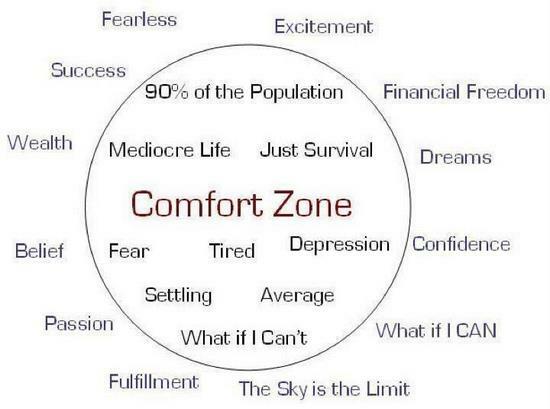 can only be done out of our Comfort Zone. Living life means always learning, growing and taking chances. Babushka won a trip via Ford Motor company because she pushed her comfort zone and in turn literally experienced true comfort and appreciation. I share with you a video BB made expressing the obvious manifestation of Pushing the Comfort Zone. than get to be Pushing up the Daisies and wish I had. Way cool right? Very thankful for this obvious manifestation, but I can't help but wonder how many times have we done this and not recognized the rewards? Thanks for your comment nina. BB, I absolutely loved your inspirational message in the video! It's a message that applies to everyone at any age. Sometimes life experiences may feel uncomfortable, but it's the only way to grow. We should not let this fear stop us from blossoming. I think the video is great. I myself don't know a single thing about editing. So it all seemed good to me, you showed a lot of details and I love that. And that room is to die for, and I do know who the Carringtons are, and they got nothing on you BB.